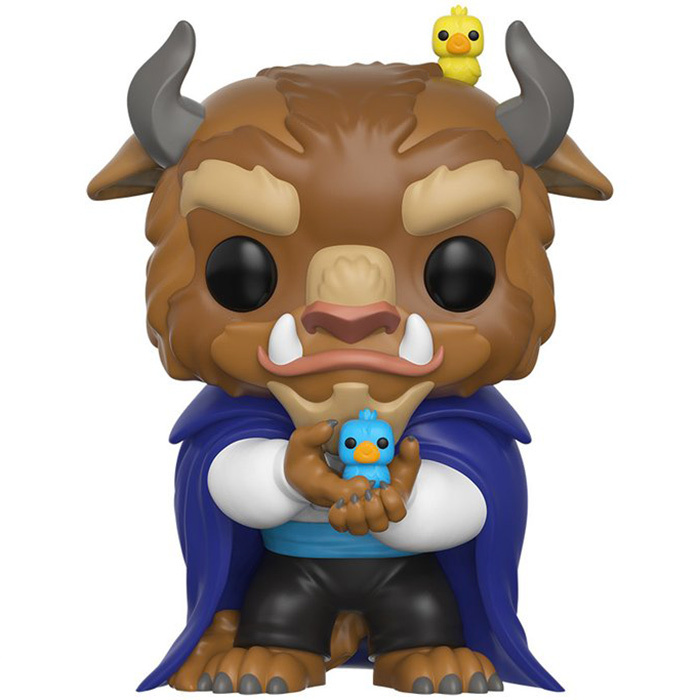 Are you interested in the The Beast with birds (Beauty And The Beast) Funko Pop figure ? 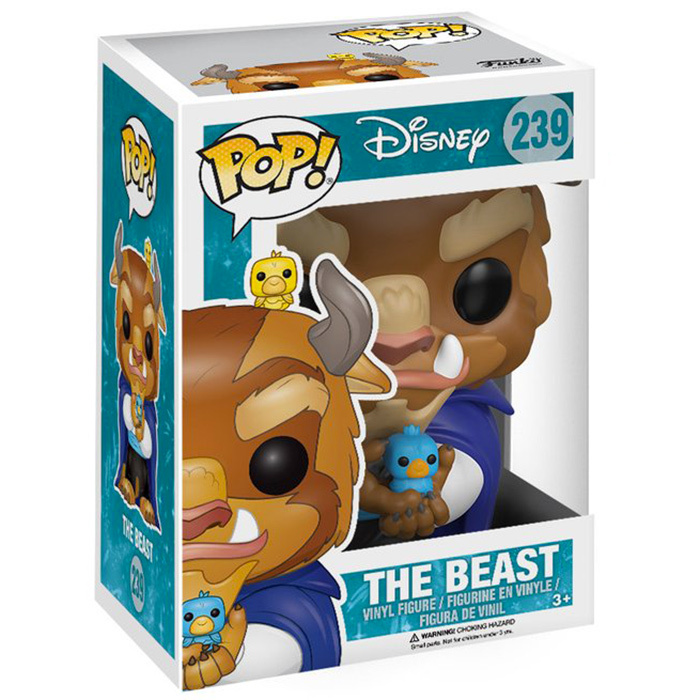 The Beast is one of the main characters in The Beauty and the Beast, one of the most popular Disney classic cartoons. This story has many versions but this cartoon is more particularly adapted from the 18th century version of Jeanne-Marie Le Prince De Beaumont. It tells the story of a young, handsome and arrogant prince who finds himself transformed into a horrible beast by a woman after he refused to open the door of his house during a storm. This curse will be lifted only on the day when he will succeed in making himself loved in this form. Years later, the staff of the castle, also under the curse and transformed into various objects, opens the door to a man during a storm. The Beast is furious and makes him prisoner. Then comes his daughter who proposes to take the place of his father and become servant. 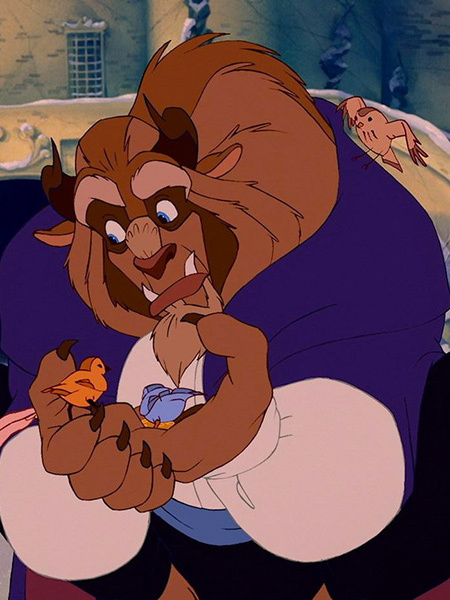 But Belle is a sweet, intelligent and compassionate young woman and she will eventually become attached to the Beast. From there, the inhabitants of the castle will do everything possible to bring them closer, seeing there a chance to break the curse. The Beast is represented here when he leaves the castle in winter accompanied by Belle. They observe small birds on the ice that finally land on his arm and horns. So we can easily recognize his outfit made of black trousers, a white tunic and a light blue belt, worn with a large dark blue cape, his favorite color. You can also see his hooked feet and his tail. About his head, one can easily recognize his very specific face which is a mix of several animals: his wild boar fangs, his hairy face and goat horns, all beautifully reproduced. 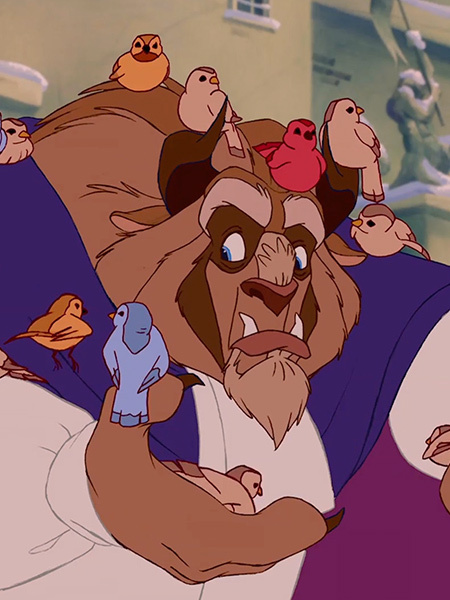 As in this famous scene, the Beast holds in his hands a small bright blue bird and another yellow one is placed on his head. This shows that even these fragile creatures are not afraid of him and don't care about his terrifying appearance like so many others.